ST. GEORGE — Several people went to the hospital Sunday evening following a collision on Red Hills Parkway. St. George Police responded to the crash involving a white SUV and silver passenger car at approximately 6:30 p.m. at the intersection of Red Hills Parkway and Skyline Drive. The driver of the SUV was northbound on Red Hills Parkway just before the crash. “Witnesses reported the driver of the SUV as appearing to be lost, kind of stopping in the roadway, having his turn signal on way prior to the turn – like he didn’t know where he was going,” St. George Police Officer Jace Hutchings said. The driver of the SUV then entered the left turn lane to go south on Skyline Drive and turned in front of the passenger car proceeding south through the intersection on a green light, Hutchings said, at which point, the vehicles collided. A passenger in the SUV was transported to the hospital by Gold Cross Ambulance with a possible head injury, Hutchings said. The driver also suffered some injuries but declined transport by ambulance. The occupants of the silver passenger car did not report any major injuries at the scene, but they went to the hospital for evaluation. Three of the occupants were small children who were all restrained properly in child safety seats. The driver of the SUV was cited for failure to yield on a left turn, Hutchings said. In the aftermath of the crash, both vehicles were disabled, blocking southbound traffic on Red Hills Parkway at the intersection. Responding officers diverted motorists onto Skyline Drive. 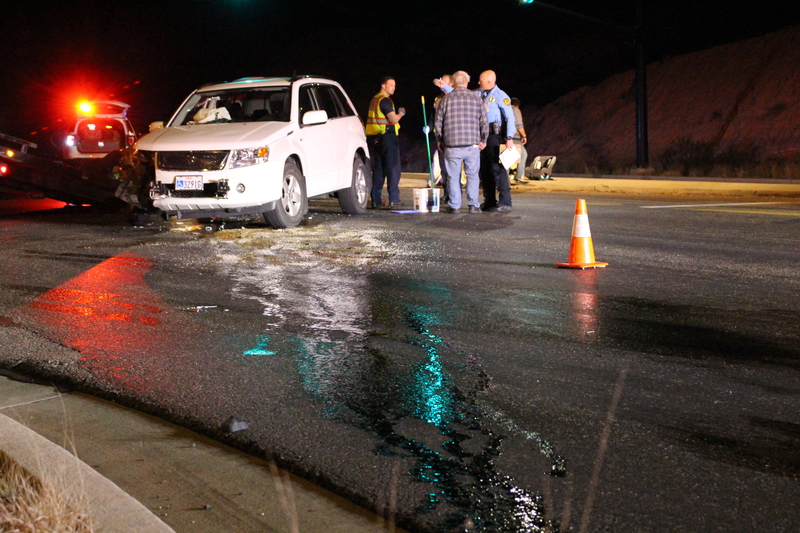 Emergency personnel from St. George Fire Department cleared debris and vehicle fluids from the roadway. 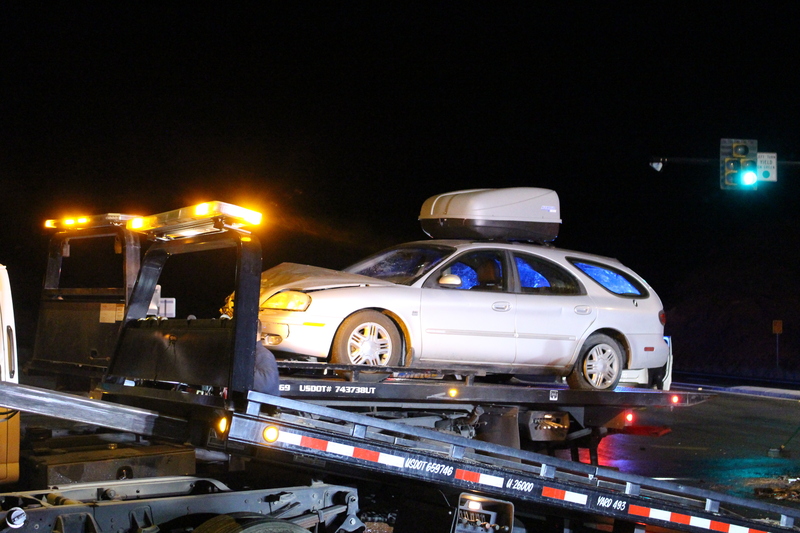 Both vehicles were heavily damage and had to be towed away. The left-hand turn lane is an odd one and can be confusing. We need a LEFT TURN ARROW on the light so it is less confusing. It’s hard to determine if oncoming traffic has to stop or has a green light and that confusion could have been what caused the accident in my opinion.